I think it’s no secret that I love breakfast. I can eat breakfast for… breakfast, lunch, and dinner. And I have before. Just look at my recipe list for breakfast items, not too shabby right? Me gusta. 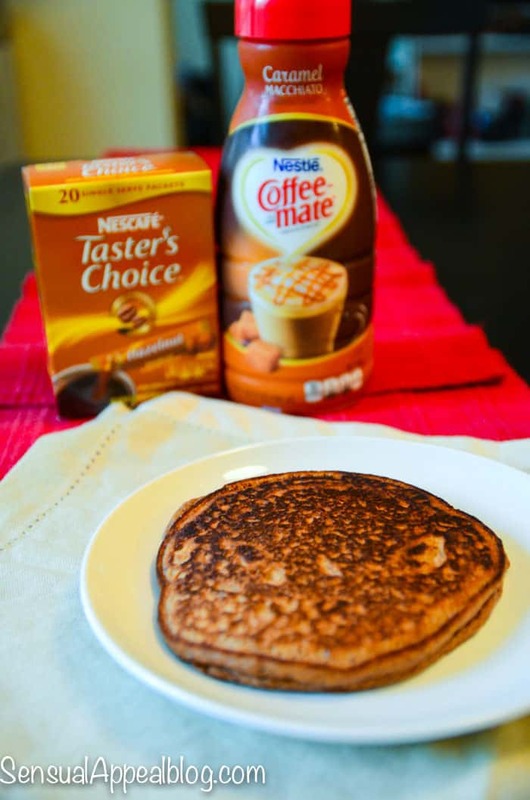 Thanks to #CollectiveBias, I get to share #MyGoodLife that includes lots of breakfast options, this time it’s from Nestle. 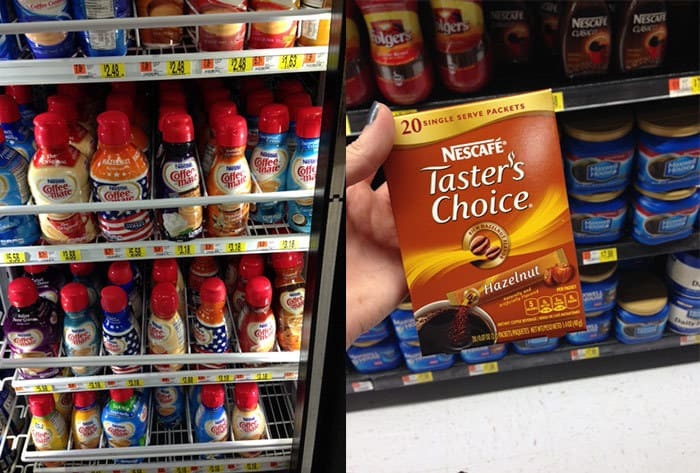 I went to Walmart to pick up some yummy breakfast things. 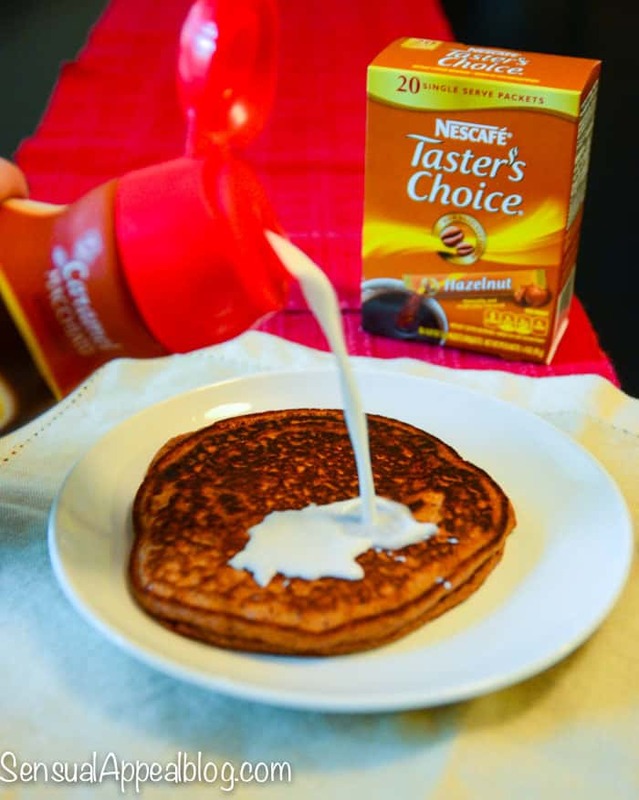 First, was the STOUFFER’S® Morning Classics sausage & egg scramble, then it was the NESCAFÉ® TASTER’S CHOICE® Instant Coffee along with two NESTLÉ® COFFEE­MATE® Liquid Coffee Creamers. I’ve seen bloggers using the creamer a lot lately and I couldn’t wait to try the Caramel Macchiato variety, simply because that’s usually the coffee I get from coffee shops. Except I didn’t really want to try it with coffee. Meh. That’s so predictable. My breakfasts are FUN, more fun than just coffee… so I wanted to do something different than what people usually use coffee creamer for (or, at least, I think?). So I combined the coffee & creamer thing into a breakfast item! I’m a huge fan of protein pancakes and I could just feel how natural this combination would be in a pancake form.. and there it is! How’s that for some yummy flavorful moments? 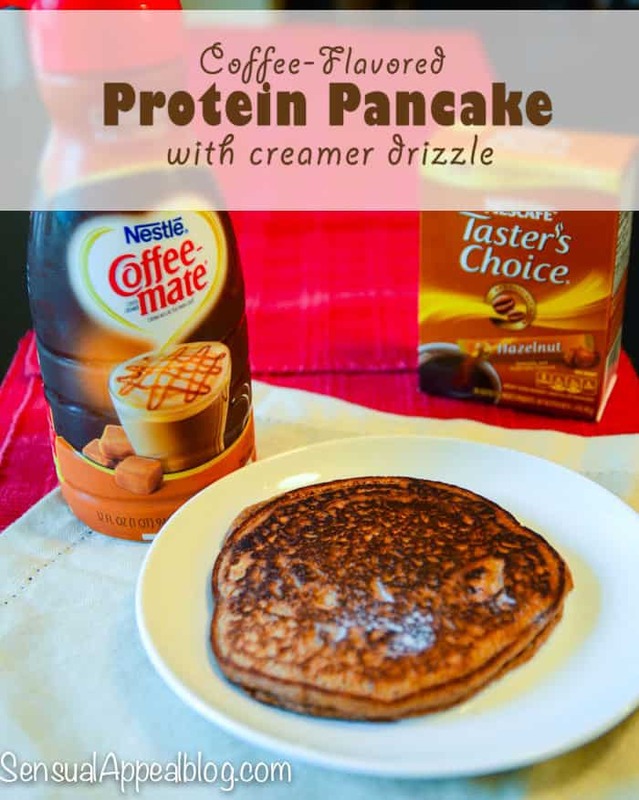 I love making protein pancakes… and I think I might have found my new favorite!